A clear strategy is the basis for the successful introduction of Additive Manufacturing. 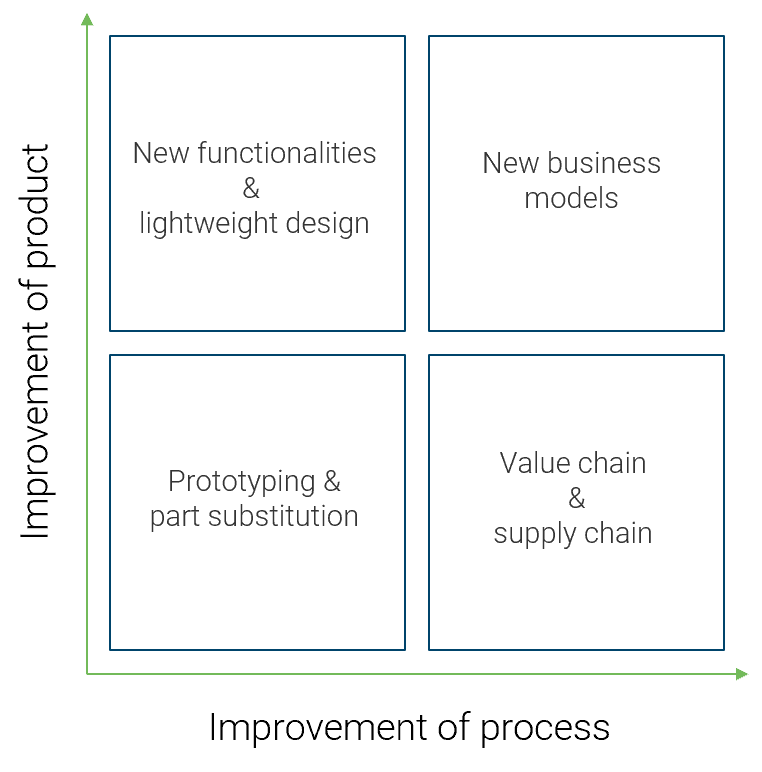 Industrial 3D printing will enable new business models as well as breakthrough application benefits and will create significant competitive advantages for those who are well-prepared for industrial 3D printing. 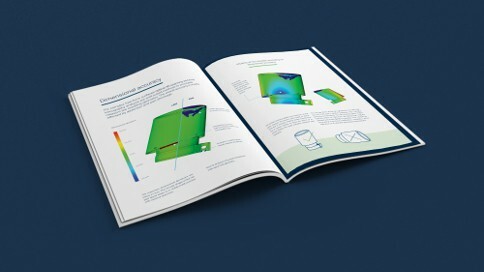 The Ampower team supports you with many years of experience in scenario analysis and the development of a solid strategy for Additive Manufacturing. 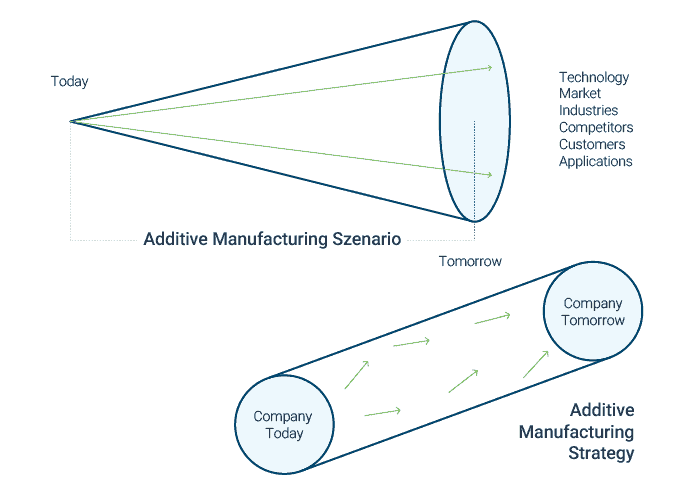 A sound Additive Manufacturing strategy is based on solid future scenarios. Ampower supports you in creating them. This is followed by the development of a business model and an implementation roadmap. 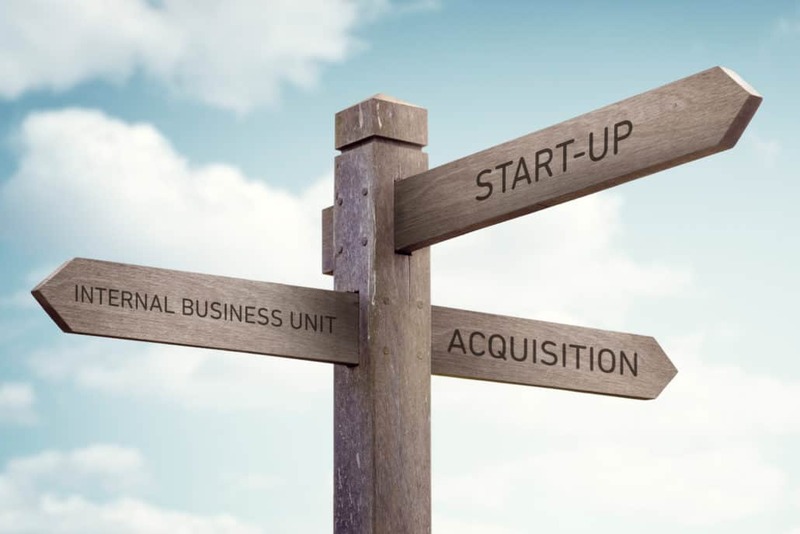 In addition to building up a business unit Additive Manufacturing, the acquisition of key companies can also be a way for the new business model. Recently, more and more start-up spin-offs of larger companies have been observed in order to take into account the dynamic technology development of Additive Manufacturing. Die Additive Fertigung unterlag einer rasanten Entwicklung in den letzten 10 Jahren. So entwickeln sich immer neue Technologien, Patente laufen aus und sorgen so für zunehmenden Wettbewerb. Wann ist der richtige Zeitpunkt und auf welche Technologie sollte Ihr Unternehmen sich einstellen? Welche Anwendungen und Geschäftsmodelle werden in Zukunft profitabel? Diese Fragestellungen sind die Basis für unsere Szenarioanalyse Additive Fertigung. Sie macht Chancen und Risiken transparent und gibt Handlungsempfehlungen für strategische Richtungsentscheidungen. Additive Manufacturing enables new business models. 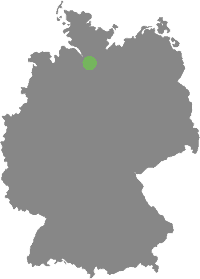 The tool-free production of components from batch size one directly from the dataset revolutionizes the supply of spare parts and the fabrication of customized components. Our portfolio analysis makes the potential business model for 3D Printing transparent and evaluates the potentials for your company. The business model is the basis of the strategy Additive Manufacturing. Once the application has been identified and optimized, a strategy for the vertical integration of Additive Manufacturing must be developed. 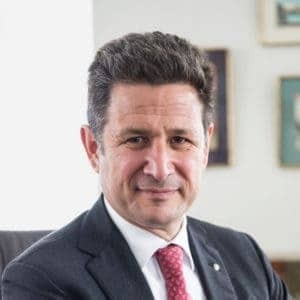 The depth of added value has a decisive influence on the supply chain and, in addition to the identified components, also depends on future applications. Through the make or buy decision of individual production processes, requirements for quality management are made and investment decisions are prepared. 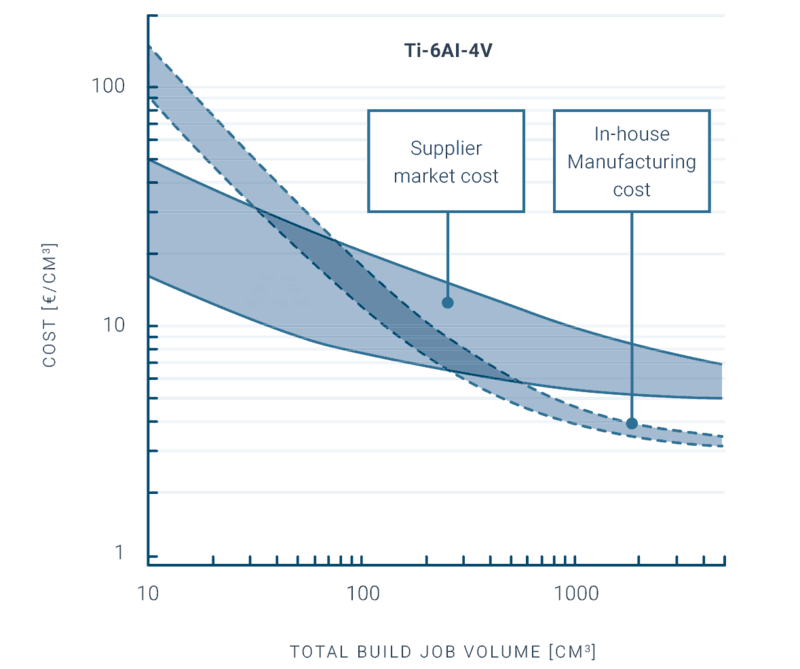 Our cost analysis and experience in supply chain management for 3D Printing help you make the right decision. With Ampower Insights we provide you valuable analyses and tools to help you achieve your Additive Manufacturing goals. Even without our training, you can inform yourself about Additive Manufacturing and stay up-to-date with the latest technology.